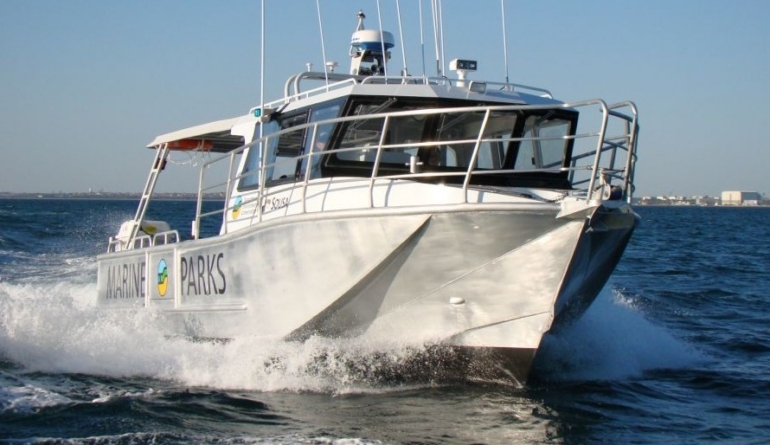 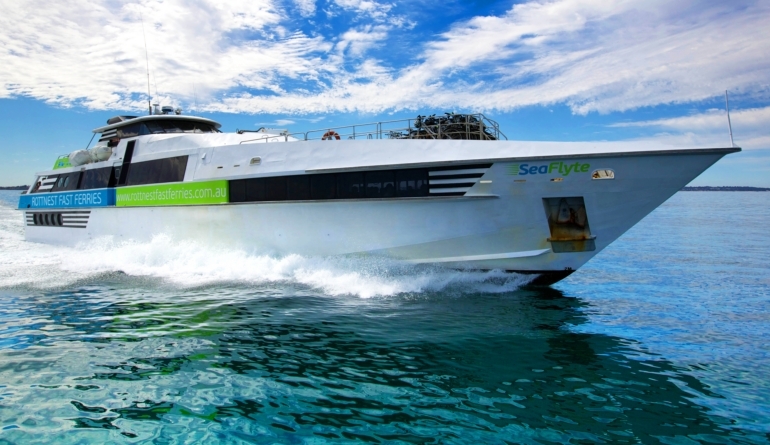 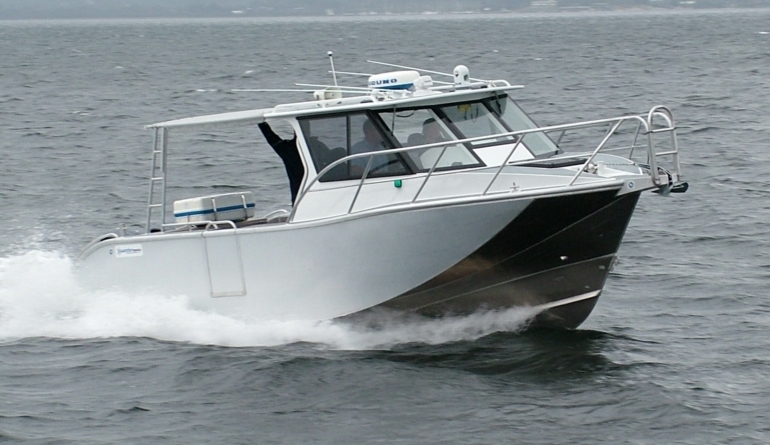 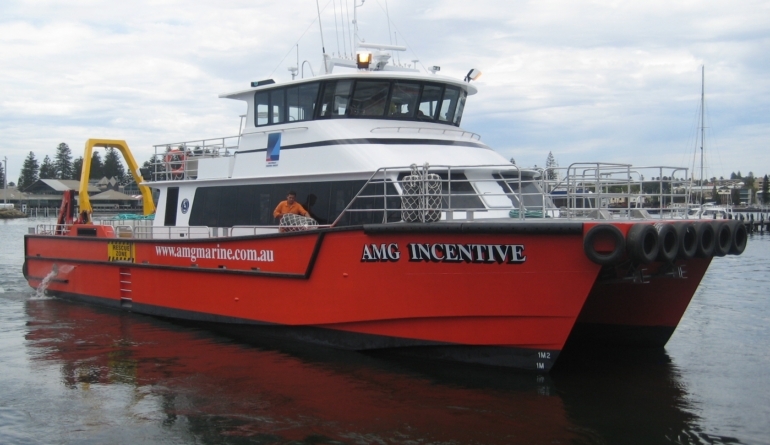 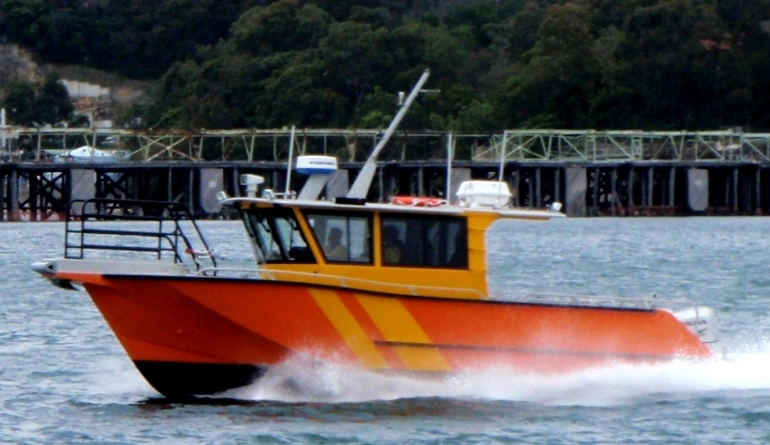 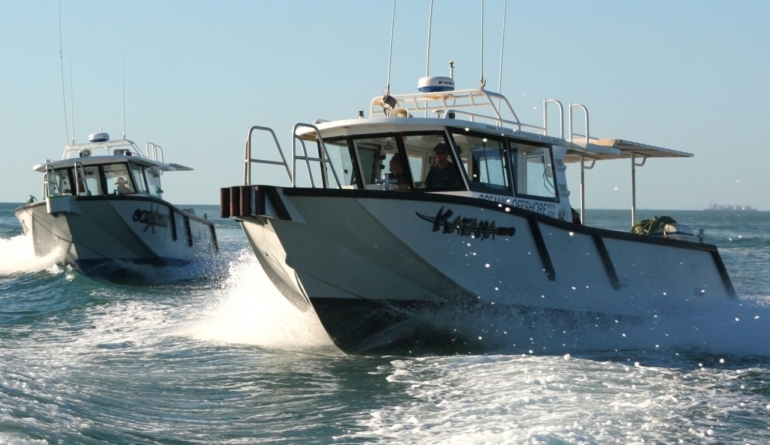 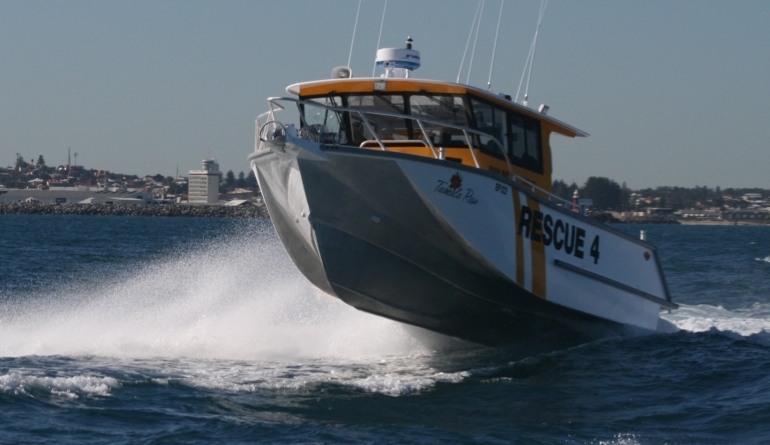 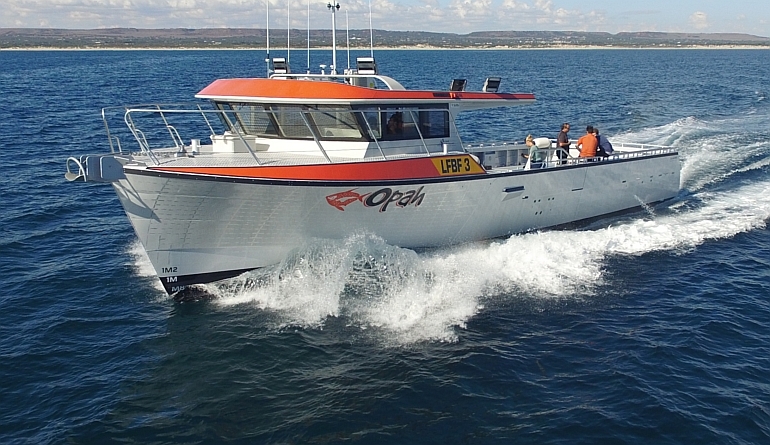 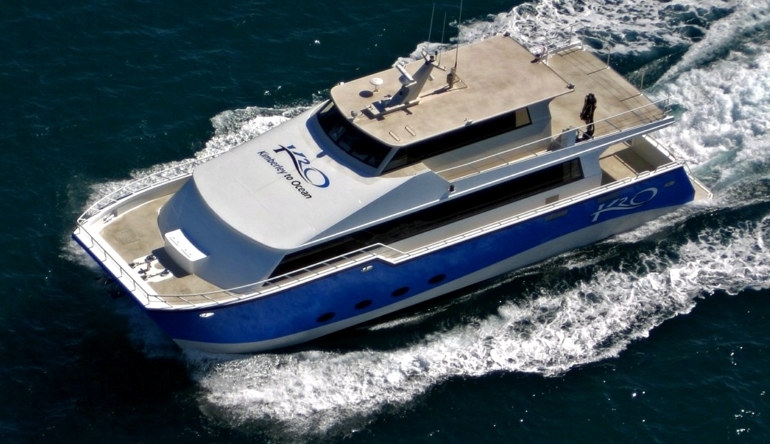 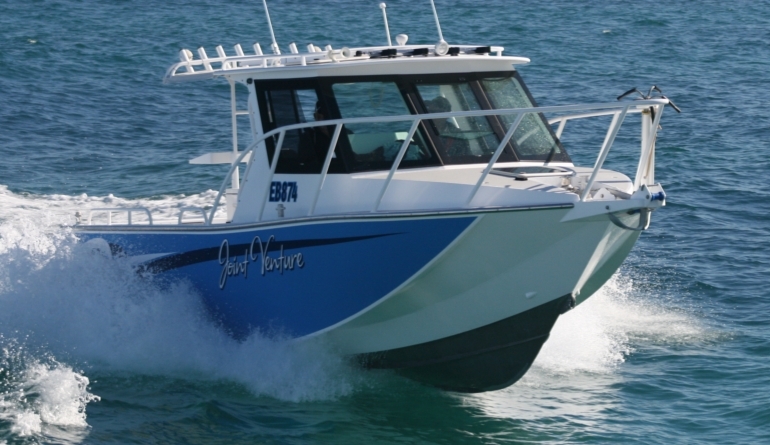 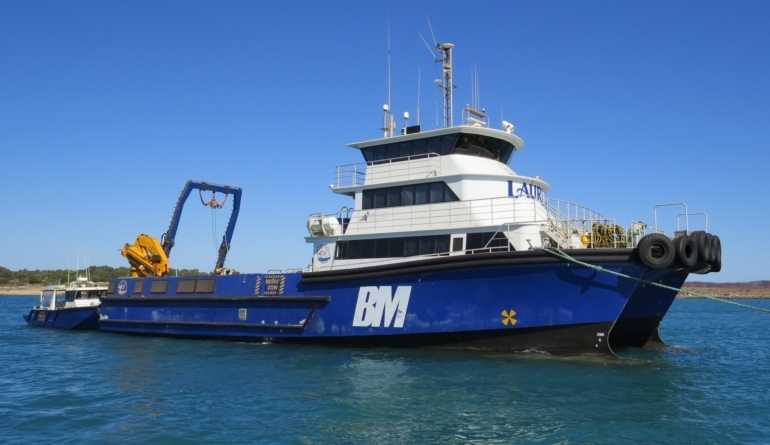 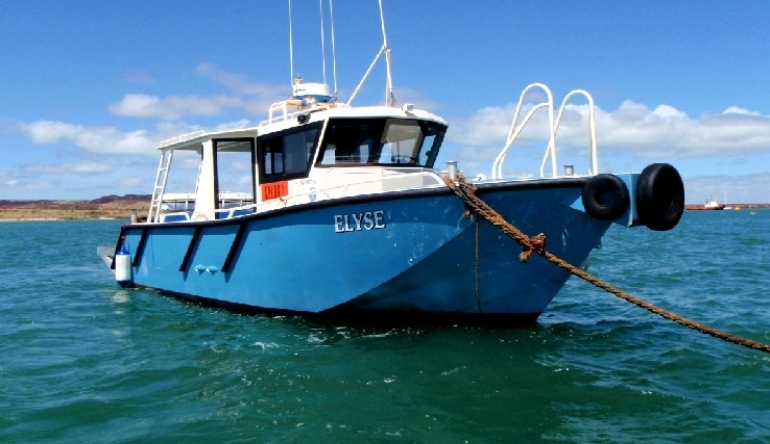 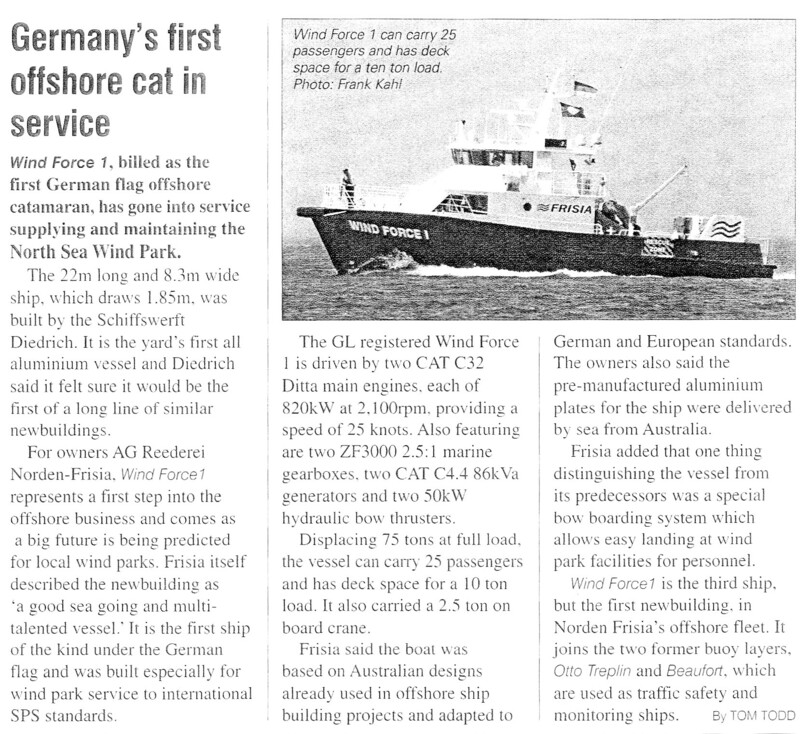 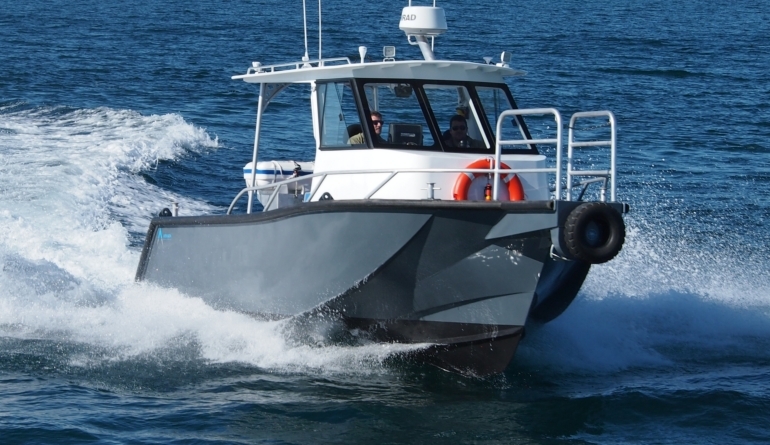 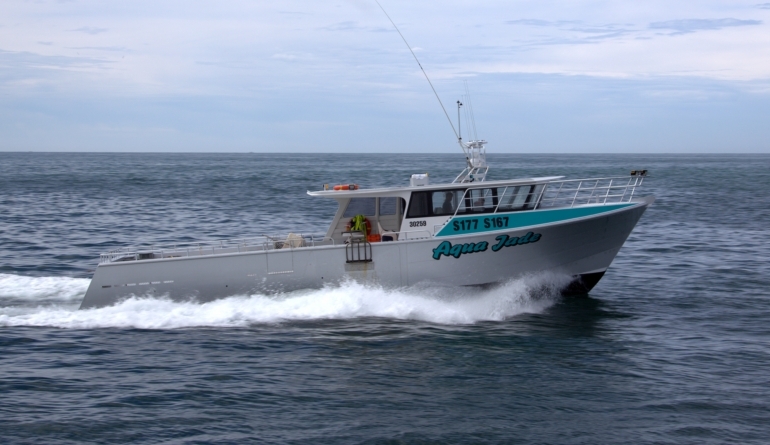 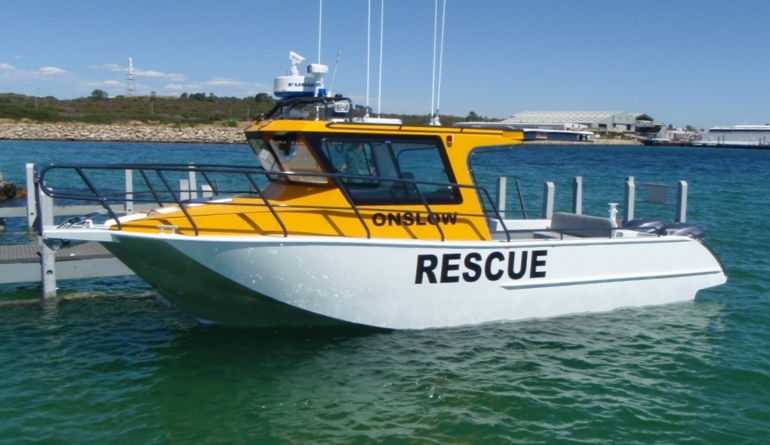 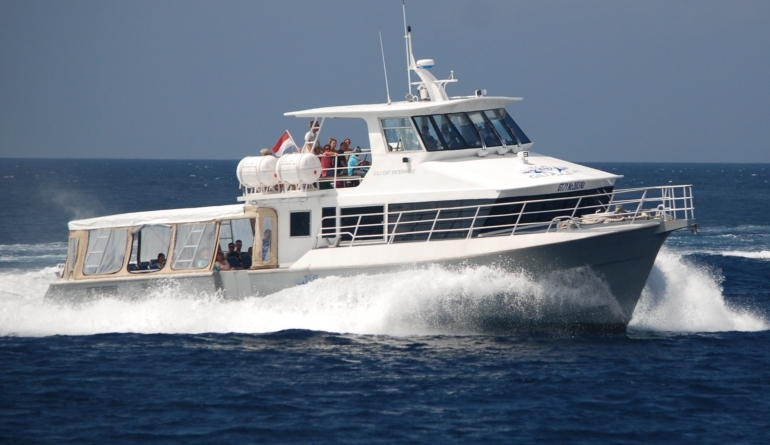 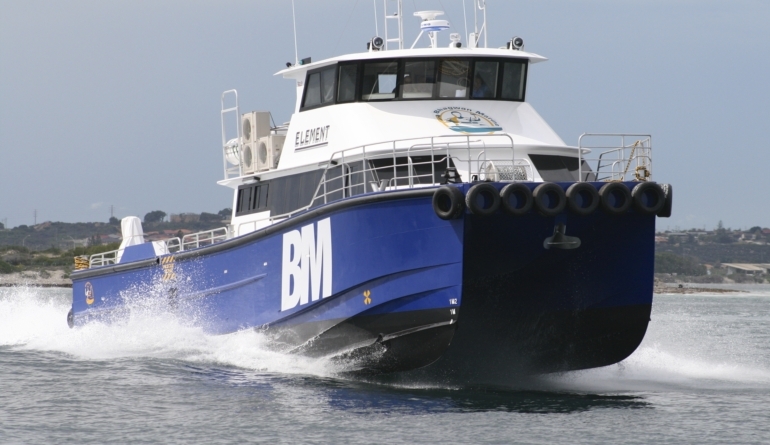 Launched in January 2017, “En-Rybo” was built at Xtreme Marine in Geraldton, Western Australia from a GMD aluminium Marine Kit. 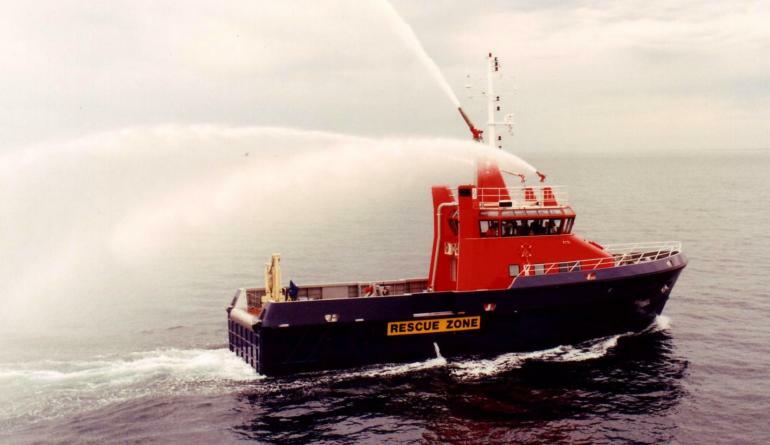 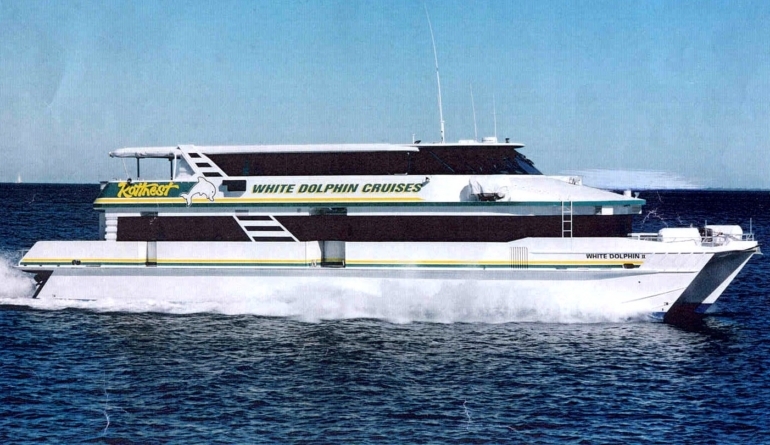 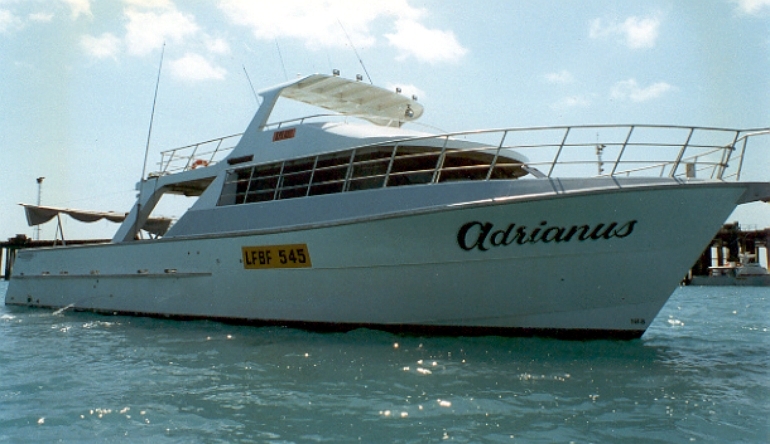 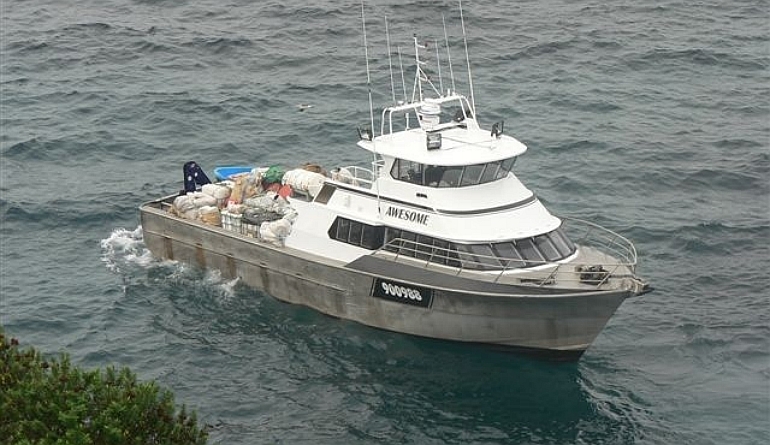 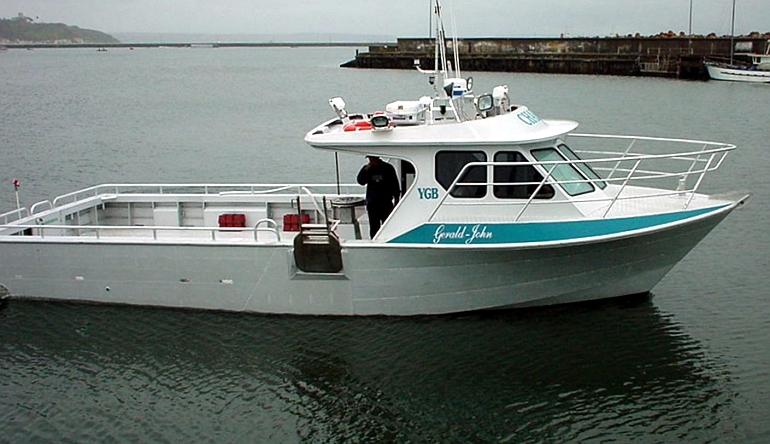 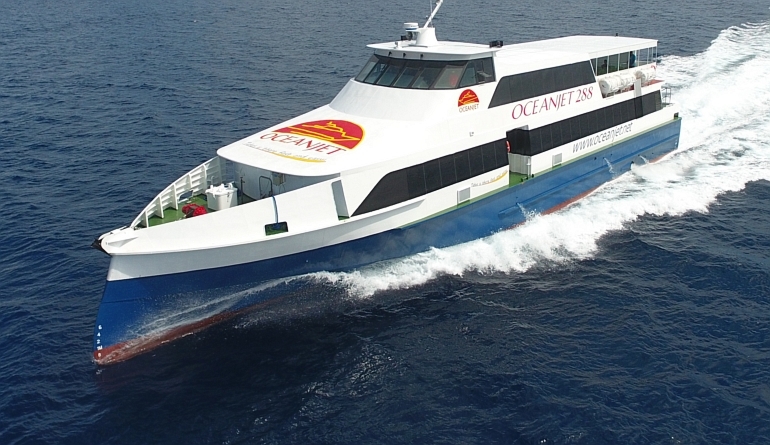 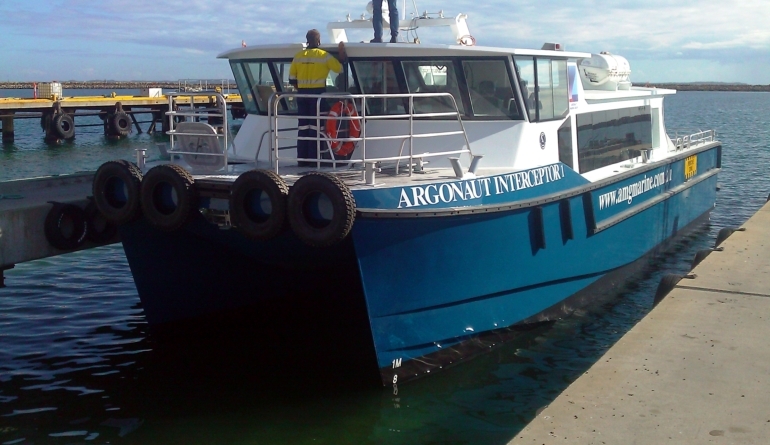 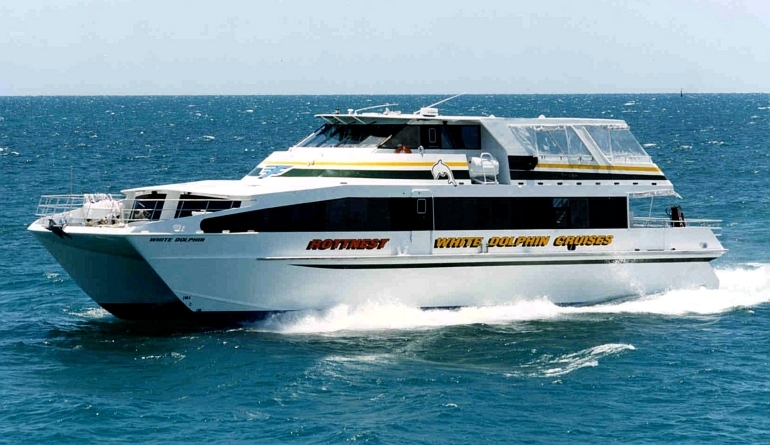 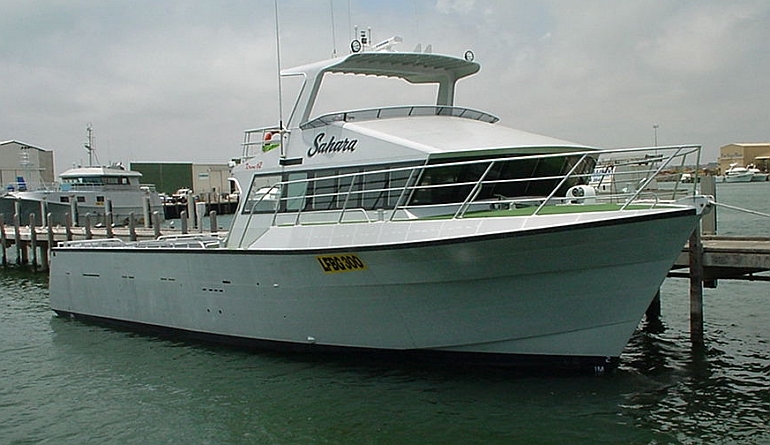 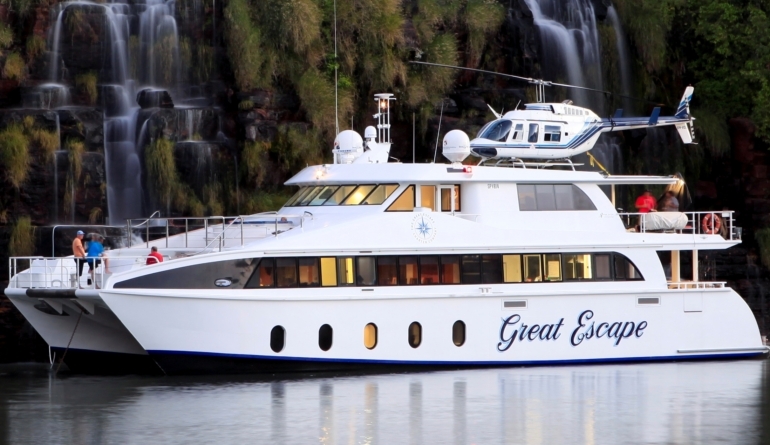 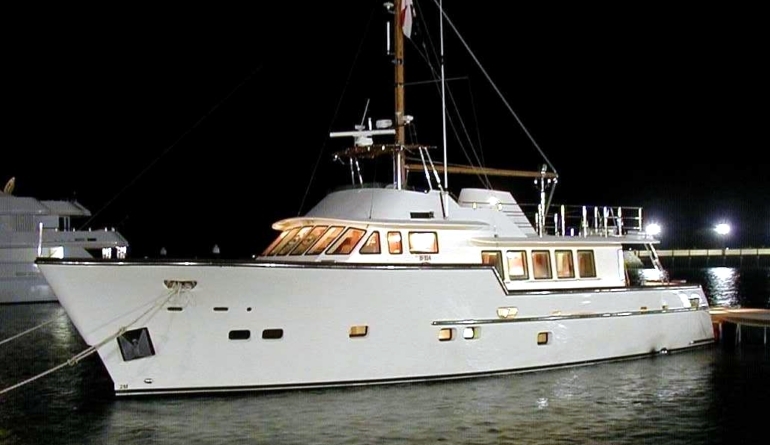 She is the replacement vessel for the original 60′ “Enrybo” which has now served the O’Byrne family for 20 years. 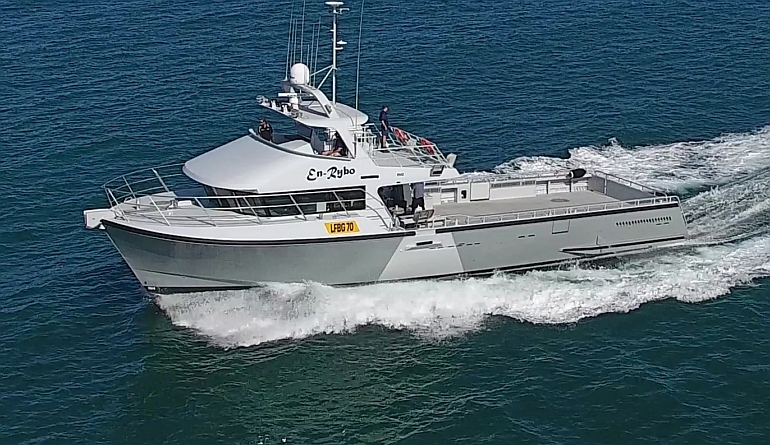 Like the vessel she replaces, the 72′ “En-Rybo” will be used to fish for rock lobster as well as running charters in the off season. 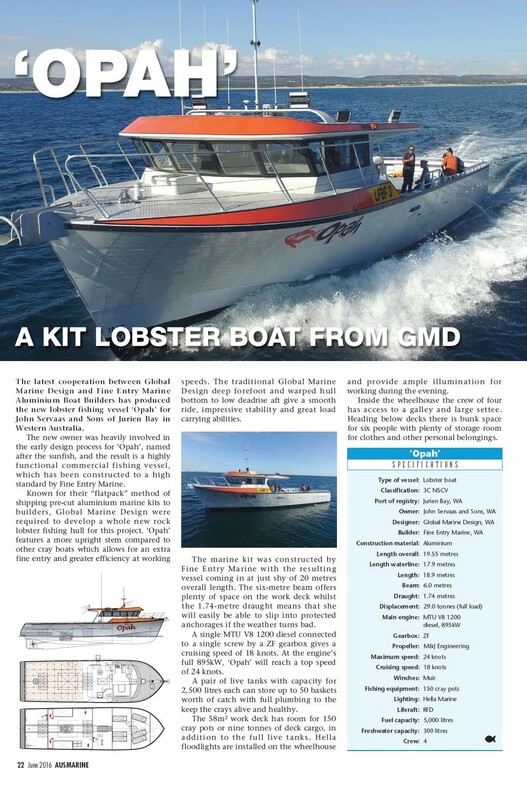 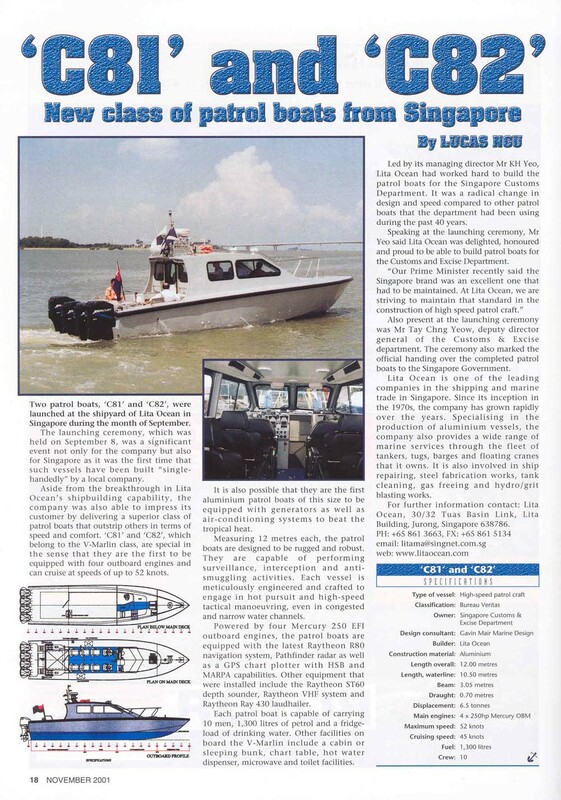 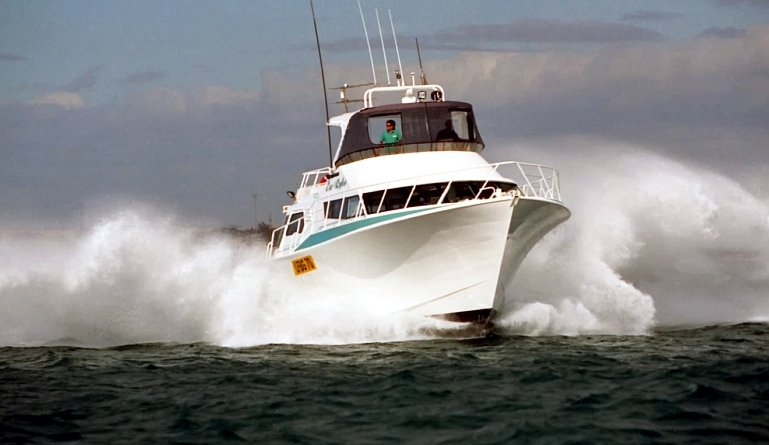 As with all GMD rock lobster hulls she features a fine entry, deep forefoot and low dead rise aft which combine for excellent offshore performance, great load carrying and a comfortable ride. 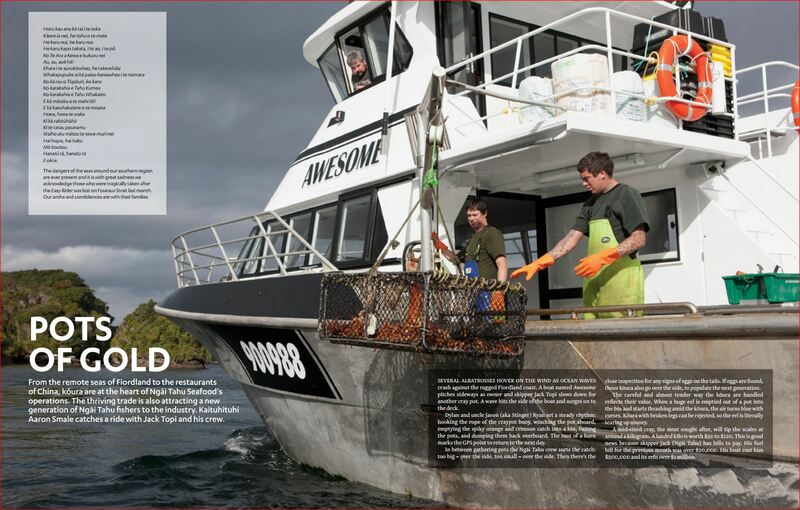 “En-Rybo” carries 100 rock lobster baskets in her 12m³ live tanks in addition to 160 pots on deck. 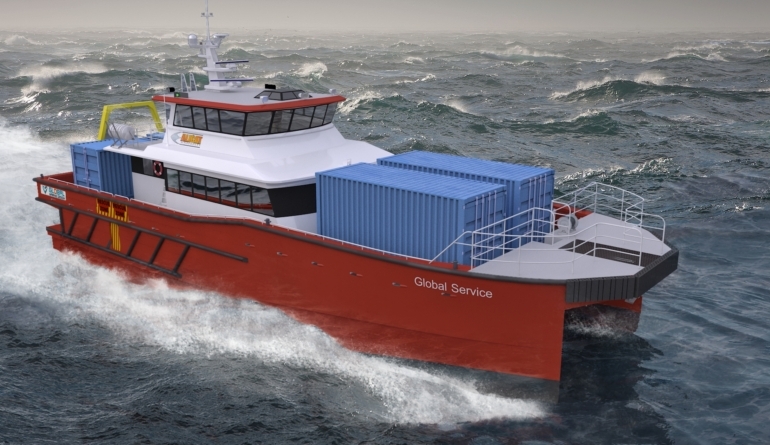 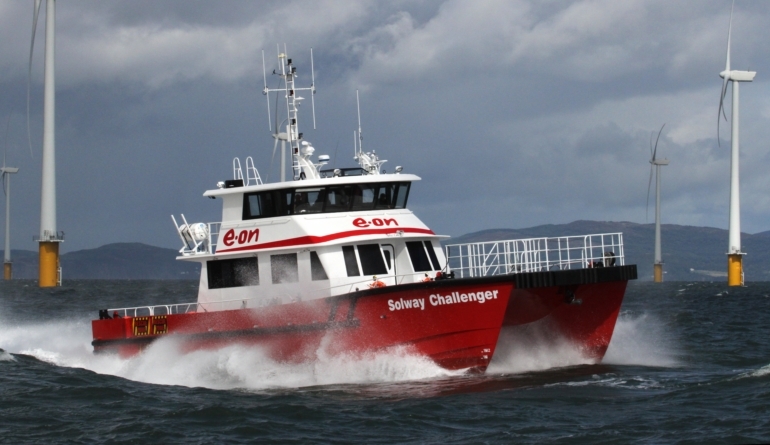 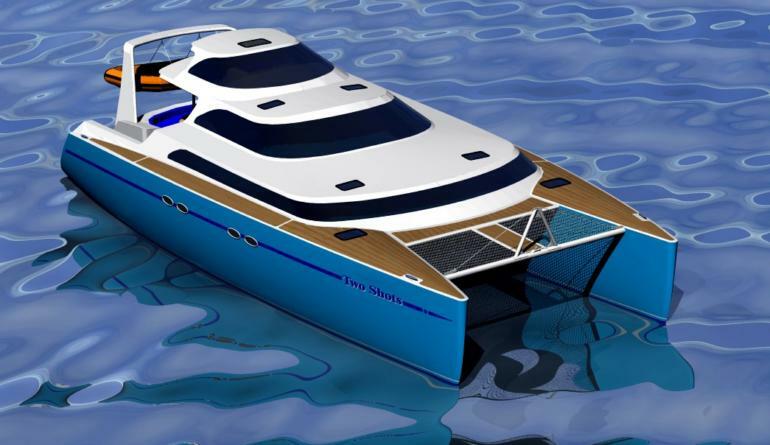 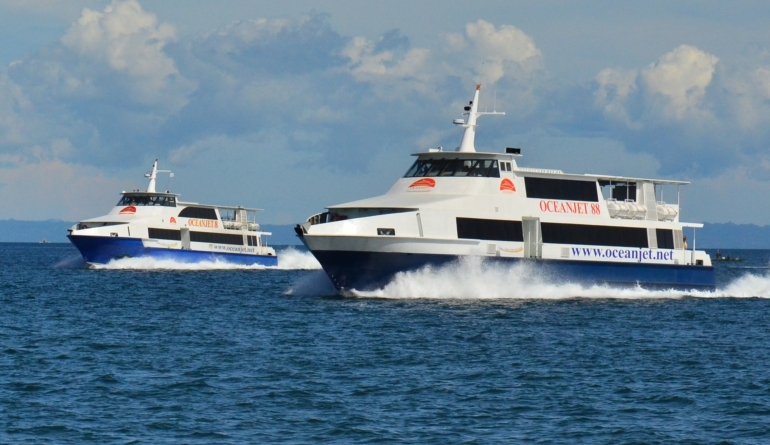 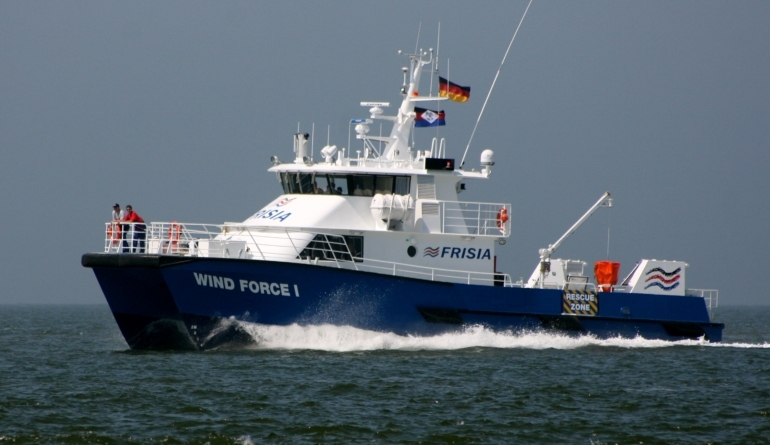 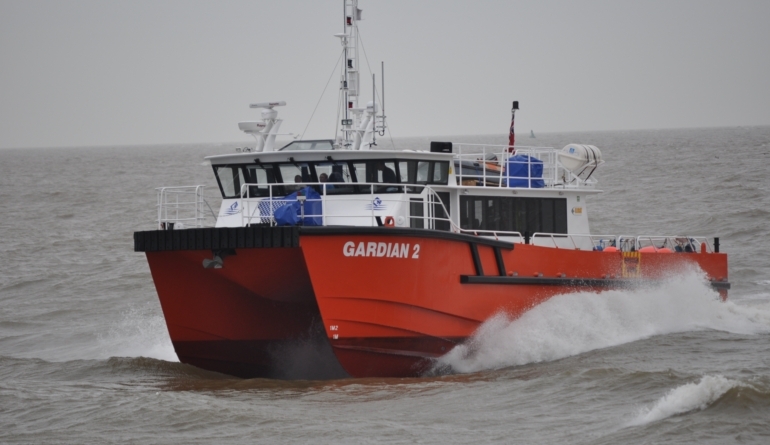 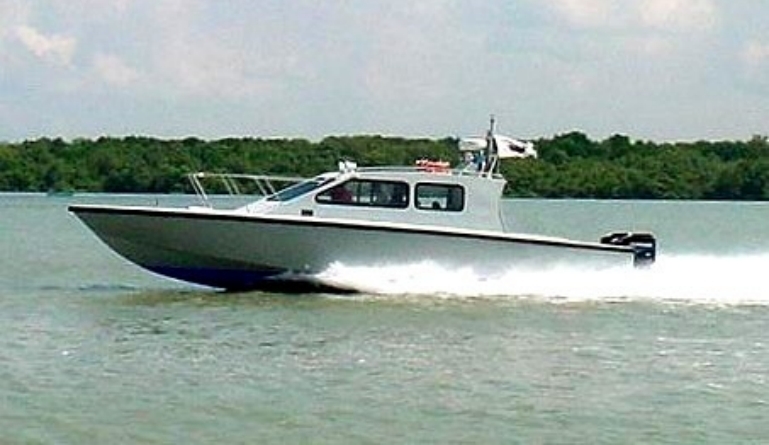 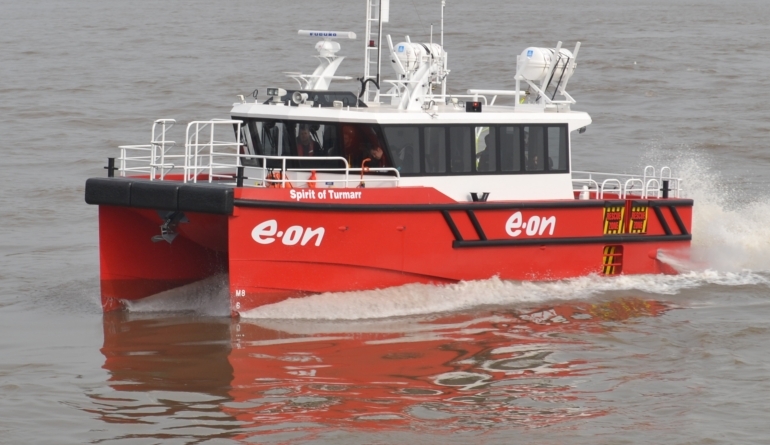 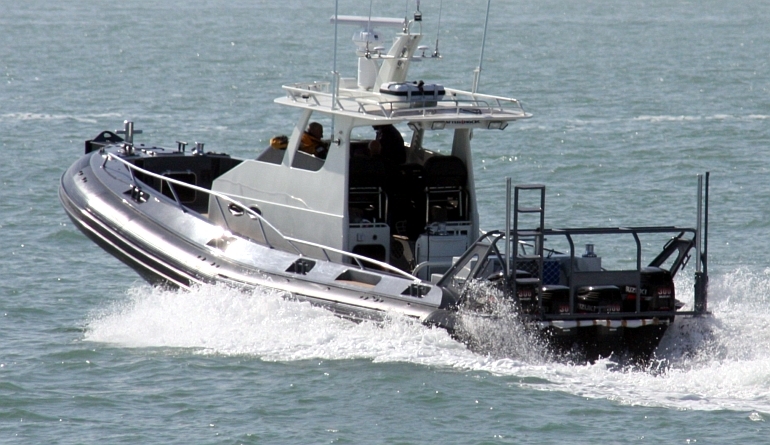 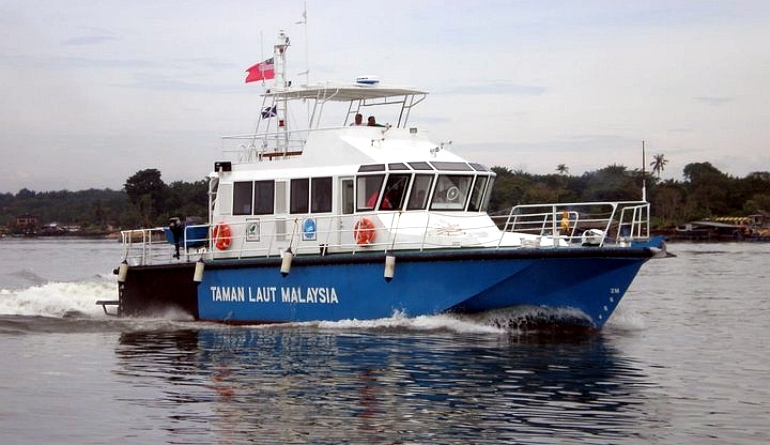 In NSCV 2B ‘Workboat Mode’, she can carry 19 tonnes on deck and 12 passengers in the saloon, making this vessel a truly versatile all-round earner. 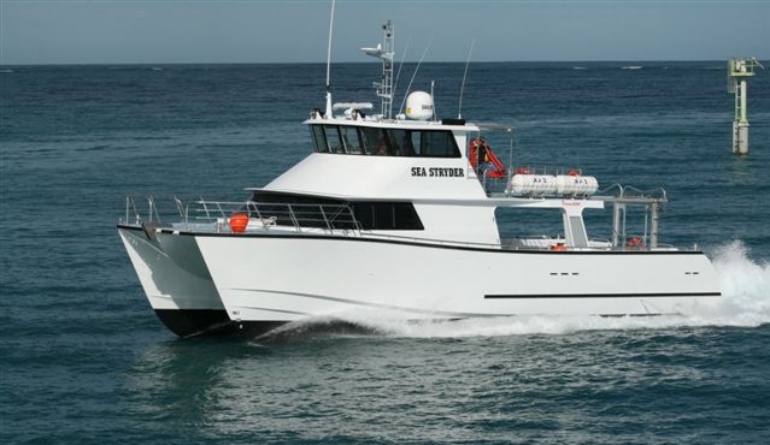 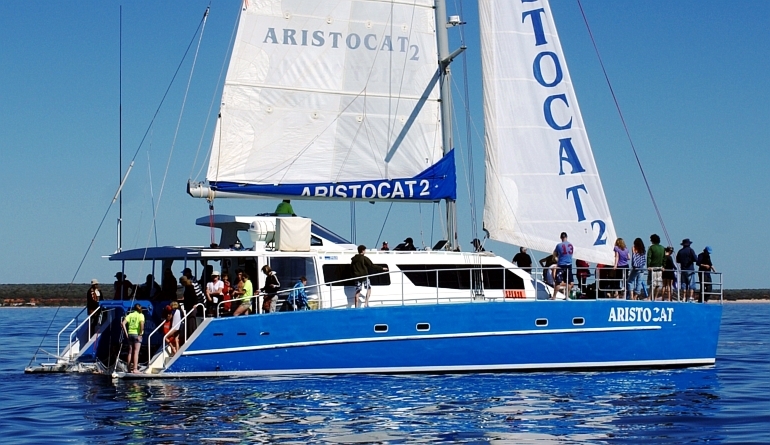 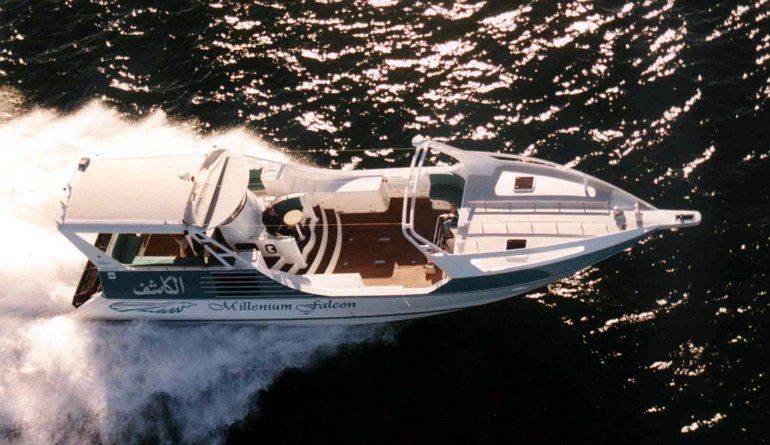 Our rock lobster hulls have proven to be very adaptable, having also been used for charter, crew transfer, patrol, motor yacht and general work duties.